Alberto Toscano talks about his new book Fanatisicm: On the Uses of an Idea for the Guardian Comment is Free site. 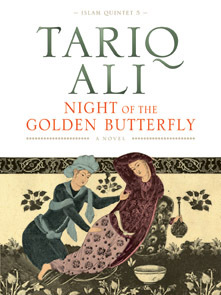 Toscano will be giving talks at the Edinburgh International Book Festival on the 25th and 26th August. More information is available here. To see more Toscano on this blog, simply click here. The text is often highly abstract, with theoretical discussions of Kant, Hegel, Marx, Badiou, Sloterdijk, Arendt, Schmitt, and others, but then Toscano is after all explicitly engaged in a defence of abstraction in “emancipatory politics”. By the end he has at least irrefutably demolished our lazy opposition between rational-moderate liberalism and “fanatical” religion; while his sorrowful comparison of modern blowhards with “the great reactionaries of yesterday” is a slyly humorous touch. 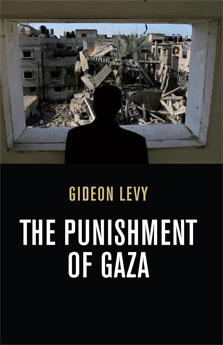 Gets the synapses firing… The book has brio, it is bolstered by wide-ranging scholarship and it will make you re-examine one of the most dangerous words in the political lexicon. 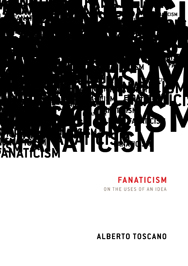 Alberto Toscano’s new book, Fanaticism, provides a powerful response to the argument. His central thesis is that crying “fanaticism!” has been a strategy across the ages used by conservatives to pathologise radical political projects, including by those “raving with reason” and dedicated to the highest ideals of the Enlightenment. Alberto Toscano talks about Fanaticism: On the Uses of an Idea on BBC Radio 4’s Thinking Allowed with Laurie Taylor. Listen here – the discussion begins about 14 minutes in. How do young peopel use myths and stories to make sense of life in a high crime area? Laurie discusses a new report by Kaye Haw. And how has the word fanaticism been used and misused by history? Alberto Toscano and John Gray discuss. The idea of fanaticism as a deviant or extreme variant of an already irrational set of religious beliefs is today invoked by the West in order to demonise and psychologize any non-liberal politics. Cultural critic, philosopher and lecturer in sociology at Goldsmiths, Alberto Toscano, explores the critical role fanaticism played in forming modern politics and the liberal state, and undermines the idea that liberalism and fanaticism are irrevocably opposed. Toscano tears apart the sterile opposition of “reasonableness” and fanaticism and, in a radical new interpretation, places the fanatic at the very heart of politics, arguing that historical and revolutionary transformations require a new understanding of its role. To book, call Box Office+44 (0)20 7930 3647 or online here. Watch Alberto talking about Fanaticism at University of Chichester with the Theory Research Group here. What renders Toscano’s account particularly strong, and what distinguishes it from the theory/polemic dichotomy discussed above, is the rich and varied historical resources that he marshals in favour of his argument.